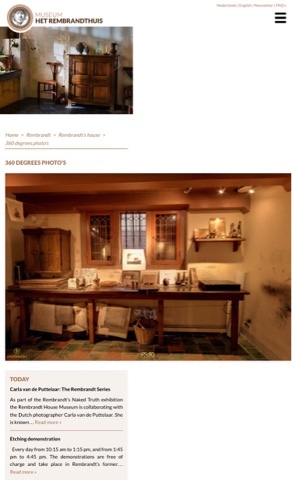 You can take a virtual tour of Rembrandt’s house, which is now a museum in the center of Amsterdam. Apropos to Rembrandt’s style, the photos make use of dramatic chiaroscuro. Here is the link.